“The Holocaust wasn’t committed by some Nazis, but by Hitler’s Germany; the Third Reich is responsible for the Holocaust,” PM Mateusz Morawiecki said during a ceremony commemorating the 74th anniversary of the liberation of Auschwitz. The PM criticized attempts to revise the truth and claimed Poland will always stand as a guardian of truth. “It was Hitler’s Germany which fed itself with Fascist ideology, which was later and still is today, named so by all historians,” Morawiecki’s said. His words were received with applause. “But all the evil came from that country and we cannot forget that, otherwise relativization of evil occurs. The PM underlined the gravity of the losses committed on the nations inhabiting the Second Polish Republic. “On Germany’s orders, Poles and other nations inhabiting the Second Polish Republic not only lost their freedom, but Polish Jews were sentenced to doom, as were Poles,” he said. 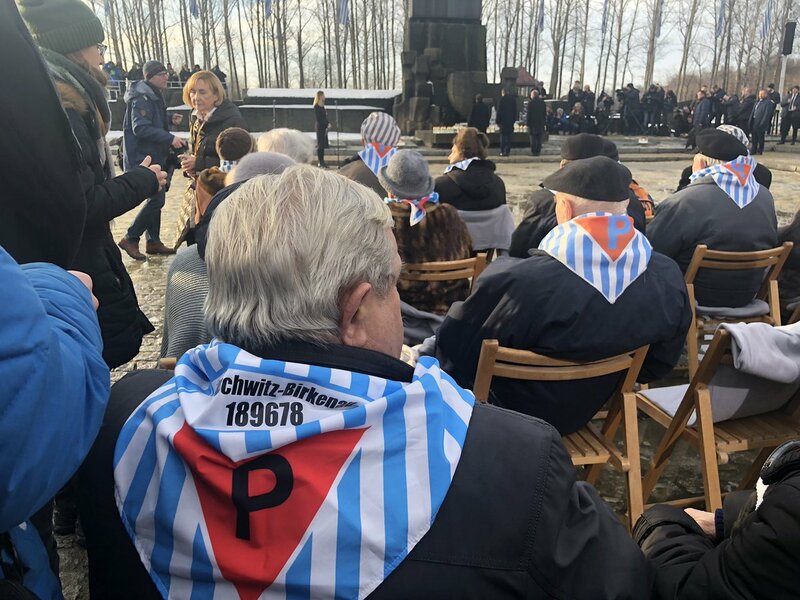 The ceremony commemorating the 74th anniversary of the liberation of Auschwitz was held in the former camp. January 27th also marks International Holocaust Remembrance Day. In addition to Mateusz Morawiecki and former prisoners, the clergy and representatives of diplomatic corps accredited in Poland also participated.